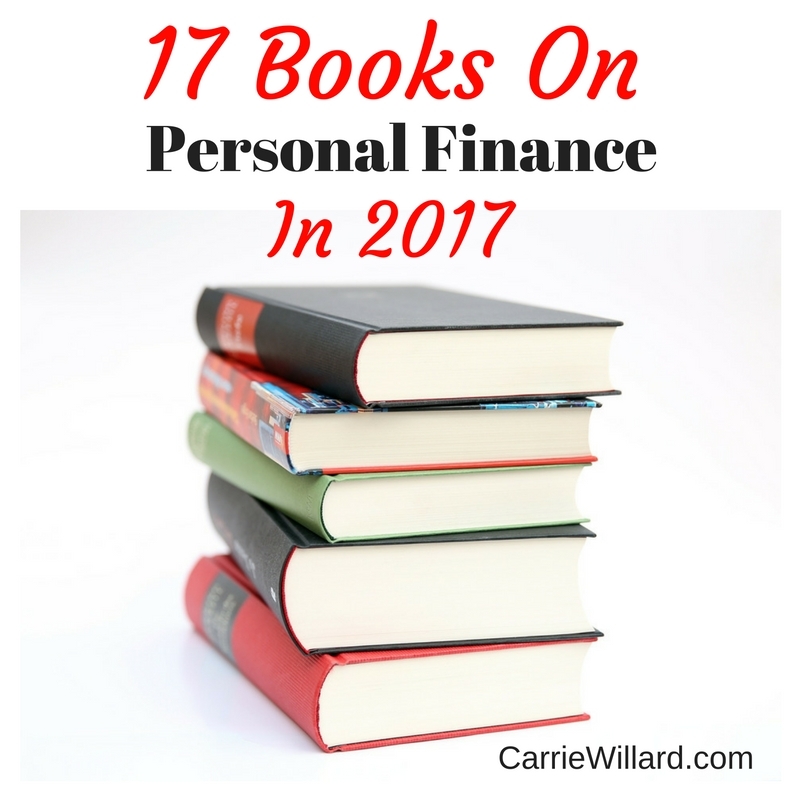 One of my goals is to read 17 personal finance books in 2017. Because I don’t want to be ignorant about money. Because I spent too much of my adult life making mistakes with money (or cleaning up the mess from other’s mistakes) and I want to learn so that I can teach my children better. I know how to be frugal, how to manage money with a budget, how to save and meet goals. But I know little about investing, and so most of the books I’ll be reading will have that focus. I got a wee bit of a jump start. 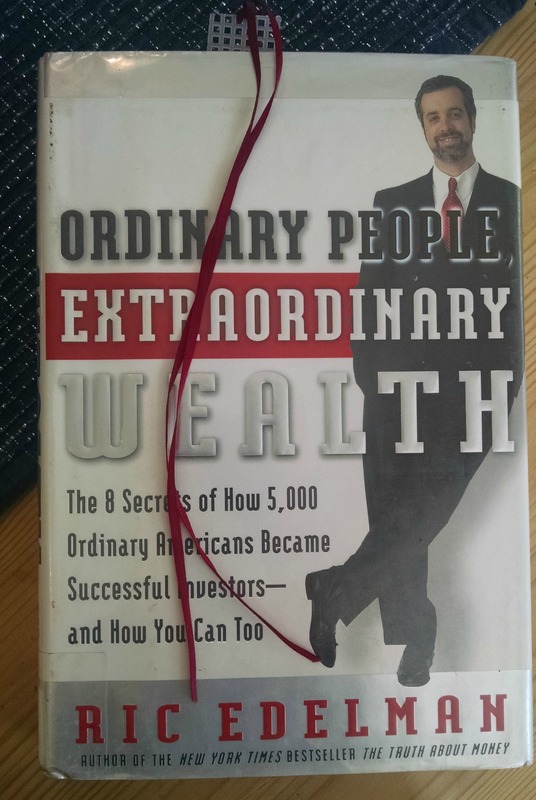 one – Ordinary People, Extraordinary Wealth by Ric Edelman. This book was recommended to me by a blog reader who took the time to email me privately and urge me to read it. I’m so glad she did, because it did shake up my paradigm, especially about a 15 year versus a 30 year mortgage. The main takeaway from this book is that for my particular circumstances (a middle-aged person with no retirement savings yet, and higher cost of living due to having 7 kids), a 30-year mortgage is likely the best bet, as it allows me to invest the difference (between what I’m currently paying for housing and a lower mortgage payment on a 30-year). The 30-year acts as a hedge against inflation as well. Interestingly, this is what my realtor, who is also a financial advisor, says. And he had never heard of this book. two- Hatching The Nest Egg: Achieve Super-Early Retirement Without Side Gigs, Gambling, Or An Above-Average Income by Emily Josephine. This is an ebook I re-read, by fellow blogger and superfan (she’s been reading this blog for over 10 years!) Emily. I’ve become mildly obsessed with the idea of early retirement for my husband, so several of these personal finance books are on FIRE (financial independence/retire early). 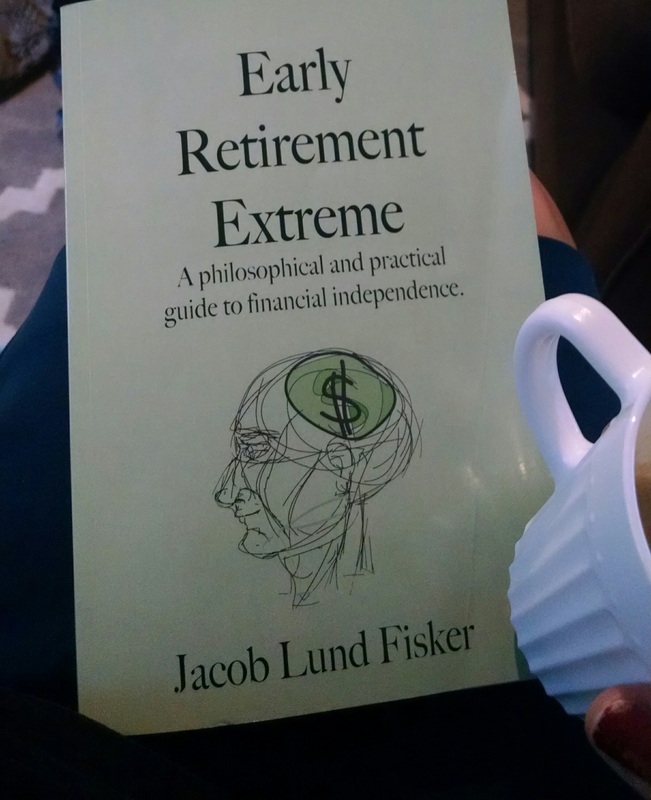 three – Early Retirement Extreme by Jacob Lund Fisker. ERE has a huge cult following among FIRE people, and his book is considered a classic. Fisker has much in common with Mr. Money Mustache, only more technical and with fewer expletives. He referred to Mr. Money Mustache as his successor here. This book got the wheels turning in my husband’s head. And sorry Dave Ramsey, but I got this book free with credit card rewards, just like my new printer and other stuff. And I’m not paying a penny in interest. four – The Spender’s Guide to Debt-Free Living by Anna Newell Jones. This was a really fun read and often goes on sale for 1.99, so watch for that. A recovered shopaholic, Anna became determined to get out of debt and launched a successful blog journaling her adventures. She’s a big fan of spending fasts, and so am I. One of my favorite parts of the book was Anna’s list of things to do instead of spending money. five – Money: Master the Game by Tony Robbins. I just love Tony. Not only is he very dashing and fun to watch, he’s just plain awesome. He manages to be super-successful and humble at the same time. And he’s helped a ton of people. This book is a tome, and I’ll admit I didn’t read every single word, but I did get a lot of value out of it. Especially the part about being careful not to have your nest egg drained by excessive fees. That tip right there could save you a couple hundred grand come retirement. This book gives you access to some cool resources and apps, which is nifty. Tony doesn’t do anything halfway. six – Pound Foolish: Exposing the Dark Side of the Personal Finance Industry talks a lot about this. The book is an expose of the sometimes questionable advice given by many gurus. Nobody is safe here, she takes on Dave Ramsey, Suze Orman, David Bach (the “latte factor” guy), Robert “rich dad” Kiyosaki, and other famous PF “gurus”. She points out conflicts of interest and hypocritical advice. Some of these I knew about, for instance I stopped paying attention to Orman after learning of her shilling for the FICO people, and it also rubbed me the wrong way that Ramsey himself declared bankruptcy but tells other people not to do it, and makes money on a government-mandated class for people going through bankruptcy. To say nothing of ridiculous products like this. Sorry, Dave and Rachel, but this just makes you look mercenary. This book is directed towards a younger generation of adults who grew up in the era of social media over-sharing. This group especially may suffer from the anxiety to appear Pinterest-perfect. While much of this book is pretty basic, especially if you’ve read anything else by the Ramsey team, it did have one section I truly appreciated. It encourages you to list your personal values. This helps you reign in your spending and align it with your highest goals. Doing this exercise was eye-opening. eight – Financially Chic by Fiona Ferris. I love Fiona’s other books and her blog, and I enjoyed this read too. In it, Fiona shares how she is making her financial dream, that of living in a small town in the country (of her native New Zealand – who wouldn’t want that?!) come true. 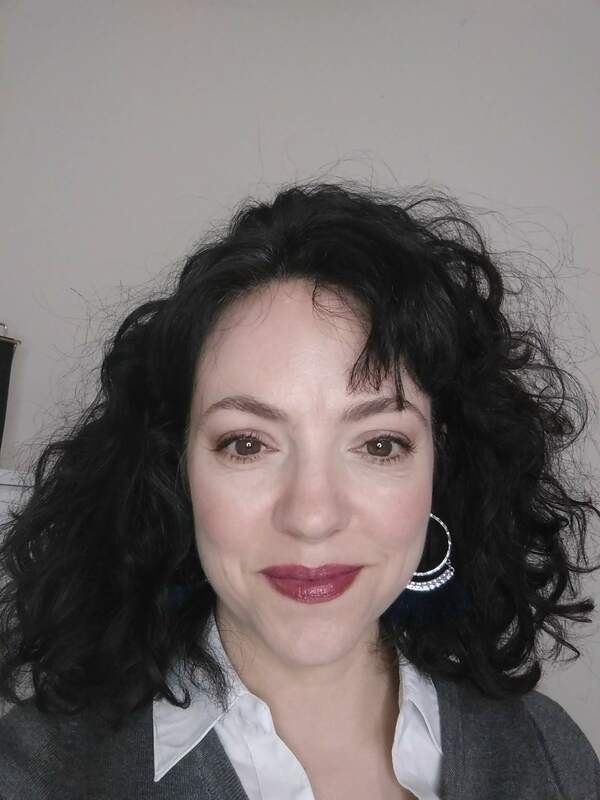 She shares how to combine frugality with “chic” living, appreciating the small, affordable indulgences, all while cultivating gratitude and a healthy attitude around finances. This was an excellent book, and I found it much easier to comprehend than the other FI book mentioned above (Early Retirement Extreme). Perhaps it’s because the book started out as a series of letters Collins wrote for his daughter to teach her about personal finance. This book has clear investment advice that’s easy to follow. And the foreword is written by Mr. Money Mustache (swoon!). This book was inspirational. It tells stories of people who launched businesses from their kitchen tables or laptops and gained the lifestyle of their dreams. Many of them became location-independent, or were able to work with their families around them. It had some practical advice for doing good market research and testing out ideas, as well as marketing on a shoestring. Since network marketing is how I earn the bulk of my income now that I have a LipSense business, I grabbed this free as a Kindle Unlimited member. It was excellent. I wouldn’t consider this a book about sales so much as it’s a personal growth classic. It turns up on all sorts of “best of” lists, and for good reason. It’s a short, easily-read-in-an-afternoon parable but packs a punch. thirteen: You are a Bada$$ at Making Money – remember what I said earlier?! This book helps you with the mindset of making money, not the practical steps. Many of us are uncomfortable with receiving. Or uncomfortable with being seen. Or uncomfortable with being uncomfortable. All these things keep us broke! fourteen: The Big Leap by Gay Hendricks PhD. This book isn’t about personal finance per se. It’s about the ways we sabotage ourselves when things are going well in our lives. We have an “upper limit problem” when we meet some goal and are uncomfortable with it. Taking the big leap to overcome those hidden fears is necessary to get to the next level in our lives – whether we’re talking about our relationships, income or anything else. I’ll update this list as I continue. Have you read any good books on personal finance lately? You might also like: my favorite books on radical frugality. Thanks so much for including my book, Carrie. I am in esteemed company! Have you read all of these? What was your favorite? I’ve read several Dave Ramsey books but they can never keep my attention long enough to retain the information. Maybe if I tried audio versions instead. This seems to be a really great list though with some truly heavy hitters. @Heather Yes, I did read them all 🙂 Although as I admit in the post, I didn’t read every word of the Tony Robbins book, it’s massive! These look great! I’m gonna have to add them to my book list! These are some great picks Carrie! I have Rachel Cruze’s book and it’s on my list to read in 2017!